The Edifier MP100 is a fully featured ultra portable Bluetooth speaker. Compatible with Bluetooth 4.0 technology and microSD functionality gives you multiple ways to play your favourite tracks. The battery offers up to 20 hours of use. Take the MP100 anywhere with its dust proof and splash proof exterior. 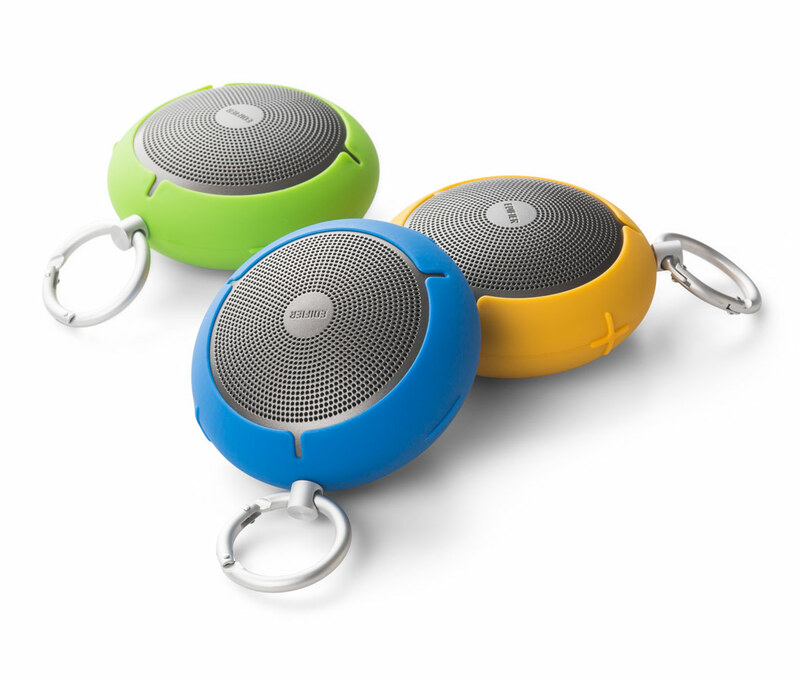 This small but powerful speaker also acts as a speakerphone for answering calls. 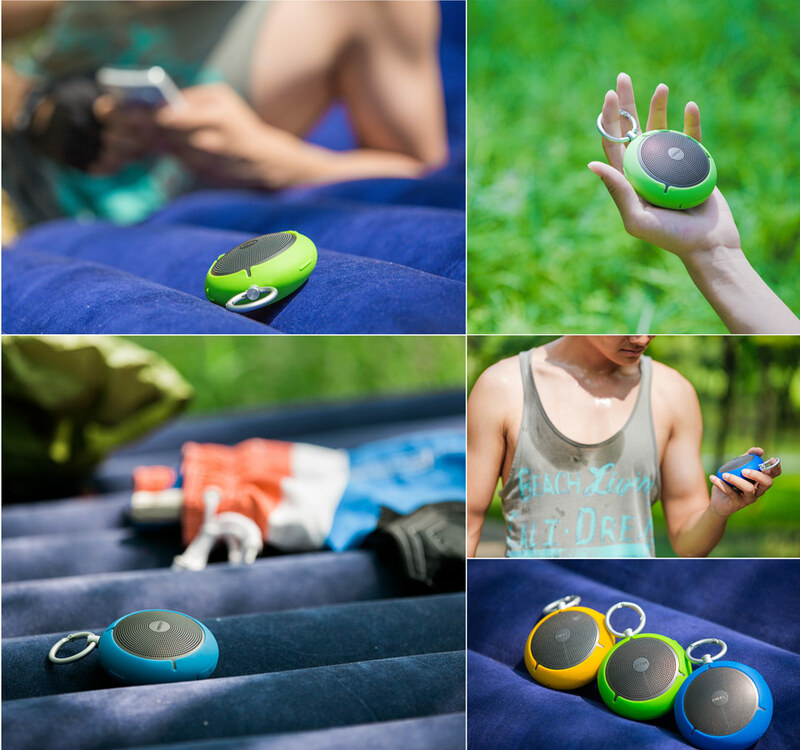 Made for the adventurous type, the MP100 is an ultra-portable rugged Bluetooth mini-speaker. 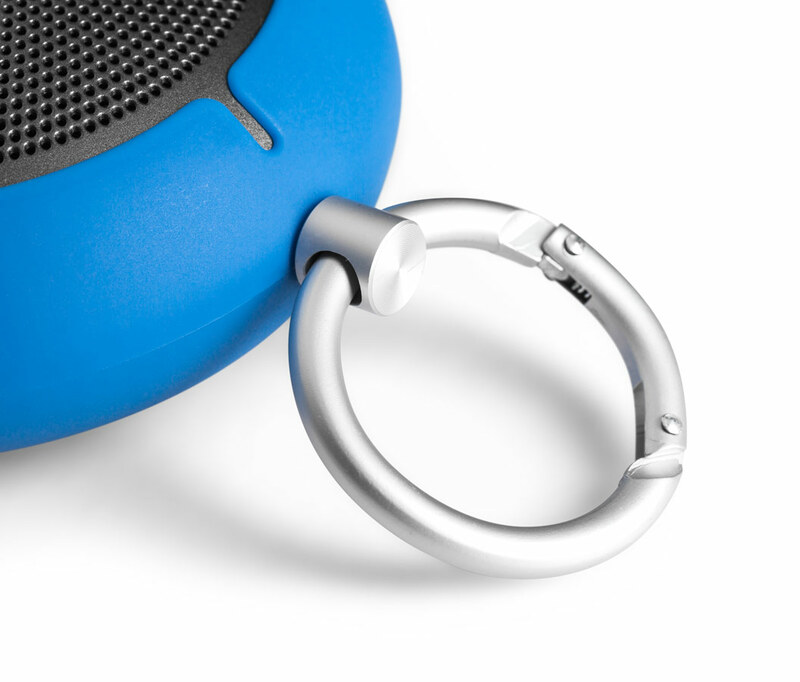 The clip at the top of the speaker is made to clip onto your belt or backpack. The MP100 produces a large sound without distortion and fits in the palm of your hand. The built-in lithium-ion battery lasts up to 20 hours of in-use battery life. 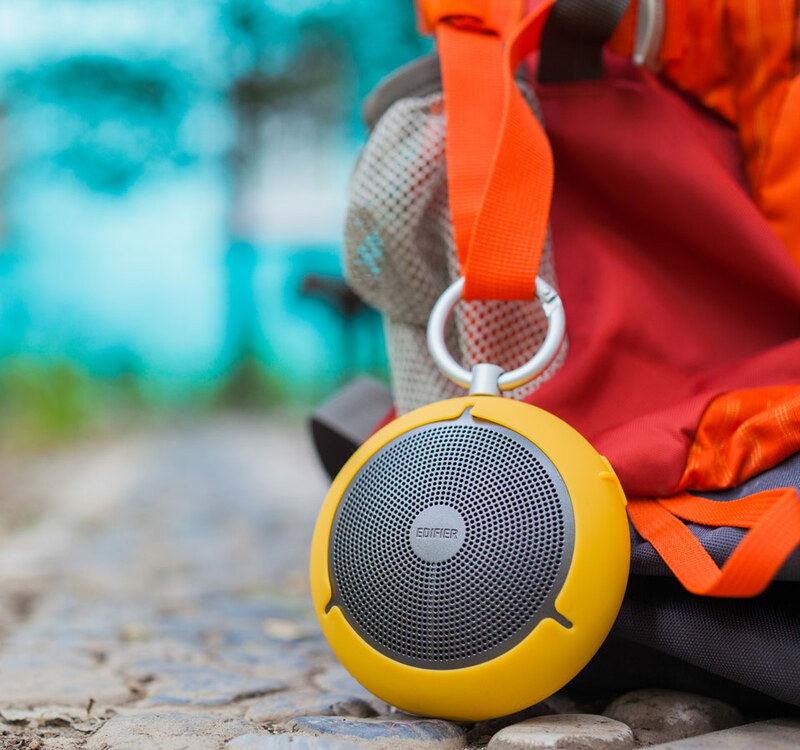 This ultra-portable Bluetooth speaker is built to last. 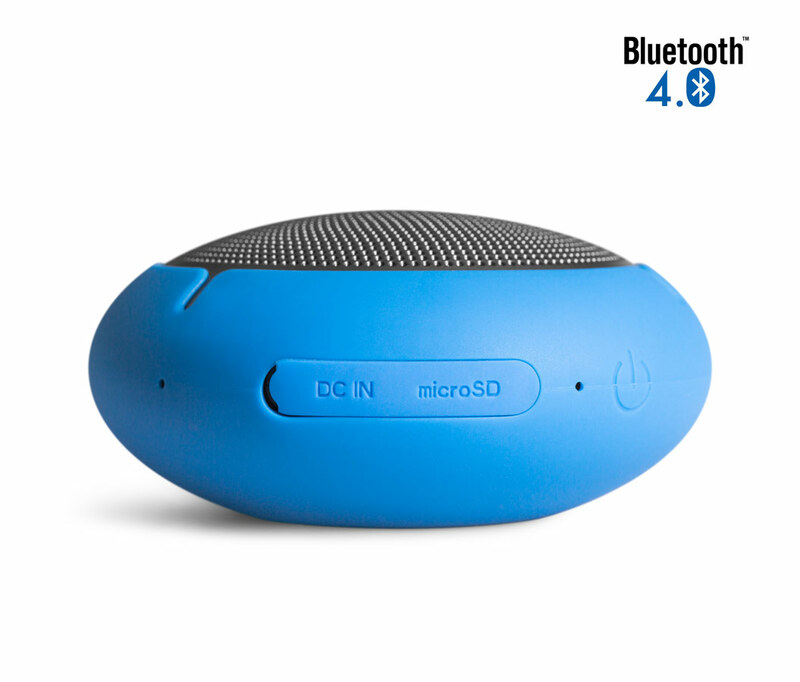 Using Bluetooth 4.0, the MP100 streams audio wirelessly from Bluetooth capable devices such as smartphones and laptops. 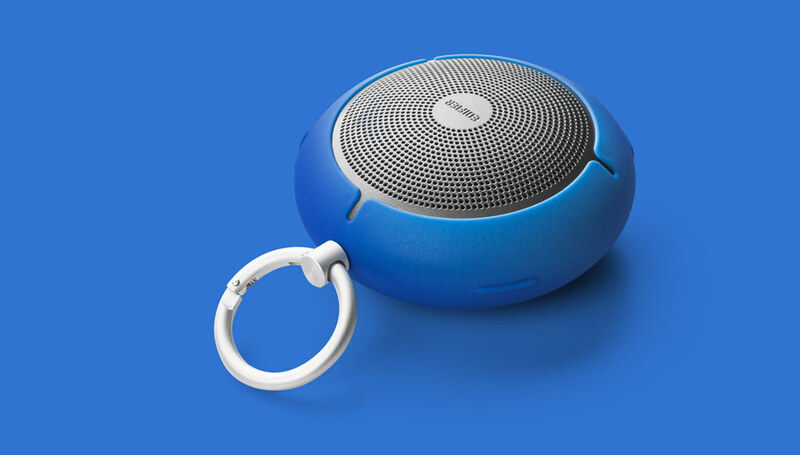 Connecting the phone to your smartphone, whether it is an iPhone, Android, or Windows phone you can use the MP100 as a speakerphone so you can take calls hands free. Scoring an IP54 rating, the MP100 is built to handle water and dust making the speaker splash and dust proof. The MP100 comes in three distinct colours that show off your independence. Pick from one of three colours, blue, green, or yellow.